Quick: what’s a thing that Ford does exceedingly well? Make trucks? Yes. Sell trucks? Yarp. Have a blue oval for a logo? Of course. Win awards? Without question. Need more proof to the latter-most point? Behold two of the latest honors bestowed upon its tough trucks. The 2017 Ford F-150 4×2, equipped with the 2.7-liter EcoBoost V6, was the only full-size truck to earn a spot on the American Council for an Energy Efficient Economy’s (ACEEE) Greener Choice awards list. The F-150 placed 12th overall with a Green Score of 39, earned by its meeting of LEV-III ULEV70/Tier 2 Bin 4 standards and its EPA-estimated, best-in-class fuel economy of 19 mpg city/26 mpg highway/22 mpg combined. 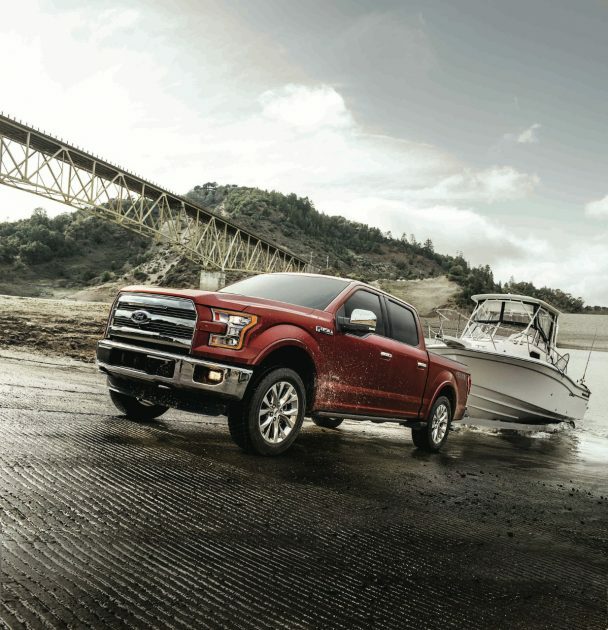 The F-150 was also recently named AAA Green Car Guide’s Top Green Vehicle among pickups. In addition to earning awards for being more efficient than the competition, the F-150 wins awards for being fun to drive. Specifically, the 2017 F-150 Raptor was named an Autotrader “Must Test Drive” vehicle for 2017, adding to a trophy case that already includes Truck of the Year honors from the likes of FOUR WHEELER, AutoGuide.com, and Popular Mechanics. Also, the Northwest Outdoor Activity Vehicle of the Year Mudfest, which is an actual thing. Does Ford win a lot of awards for its trucks? Counter-question: does a hair-covered, woodland-dwelling animal consume food, sleep, and even relieve itself among the trees?